Free entry. Refreshments and treats provided! I Love St Andrews was a collaboration that I began over a year and a half ago with the incredible artist Gillian Gamble. Gillian had the idea to create a whimsical, beautifully designed book that celebrated all the quirky things we loved about our little town. She asked me to write a long poem to tie together all the illustrations and I had a fun time writing it and reminiscing about that old, grey town I miss so much. The final product is a 64 pages, full color hardback souvenir book! It’s for all ages and I hope that people will read it aloud together and recall all the amazing memories that St A has given them. 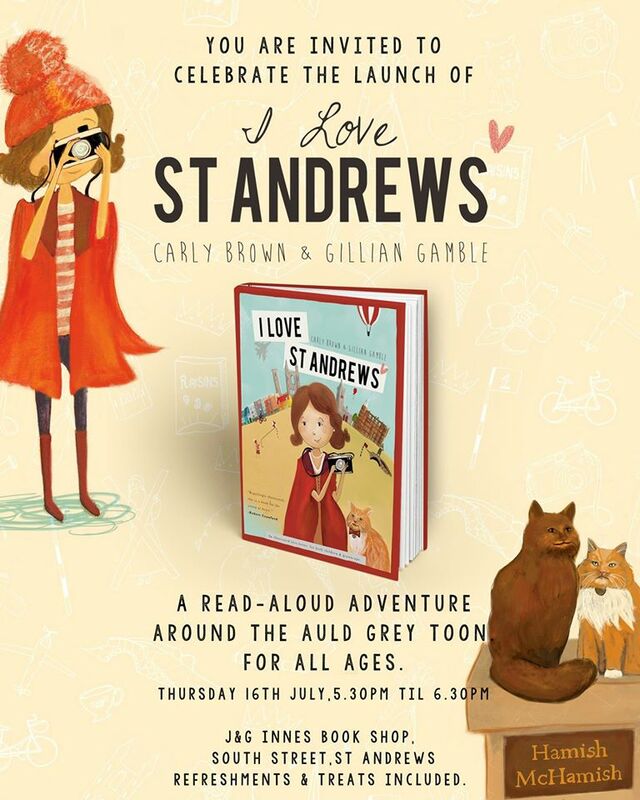 I Love St Andrews will be available at local bookstores in St Andrews (including Waterstones on Market Street), as well as through online orders here.